a sticky situation: Holiday Cheer! I just wanted to pop in and share a card I made with a non-Christmas image. 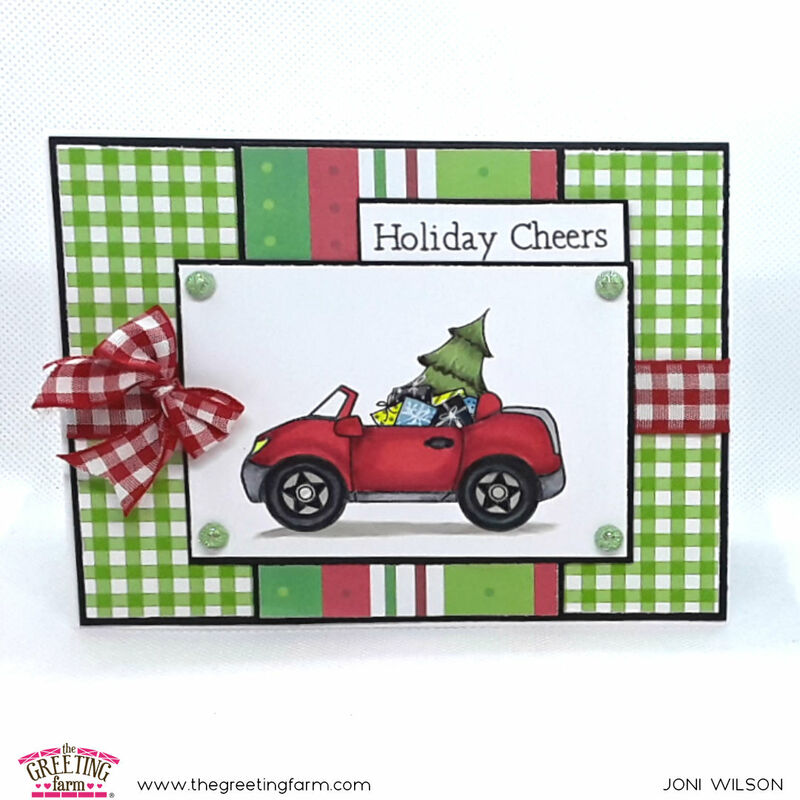 The Greeting Farm makes crafting so much fun because you can use any of the stamps year round. I inked up the convertible from Mega Mini Go Time and loaded it with a tree and presents. and added the sentiment from the Merry & Bright set. and let the creative imagination run wild! Thank you for coming by the blog, have a great day everyone!